AP PHOTO - Iowa guard Jordan Bohannon (3) shoots the game-winning 3-pointer over Northwestern’s Anthony Gaines (11) at the end of Sunday night’s Big Ten Conference basketball game at Carver-Hawkeye Arena in Iowa City. Iowa won 80-79. 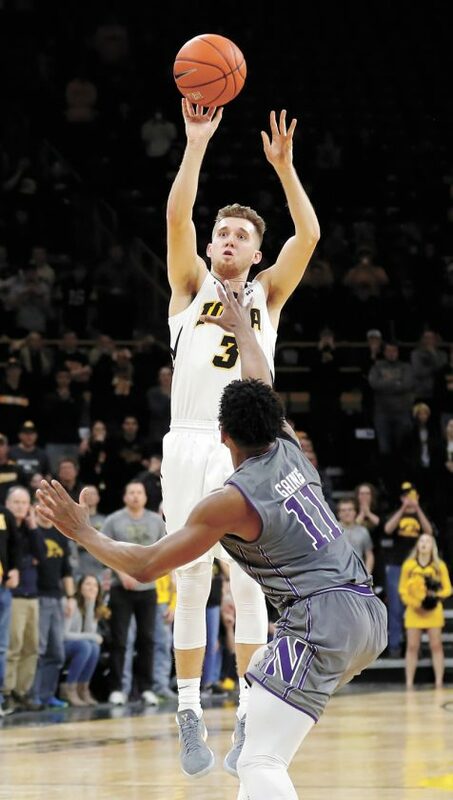 IOWA CITY — Iowa’s Jordan Bohannon feels most comfortable at the end of games, and it showed against Northwestern. 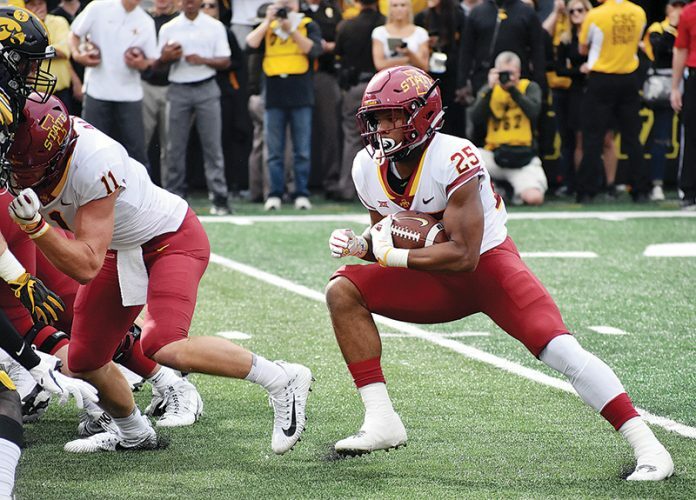 Iowa plays at Rutgers on Saturday. Northwestern hosts Rutgers on Tuesday.